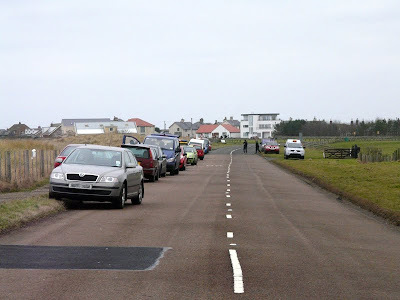 As I arrived in Seahouses for a morning meeting, I got a text message from the office to say a sperm whale was on the beach at Beadnell. Quite a twitch was developing to the deceased beast and although sad to see it dead, it was still pretty impressive. Funnily enough, at work last week I was researching the issue of seals on the beach and read about stranded, dead, cetaceans. 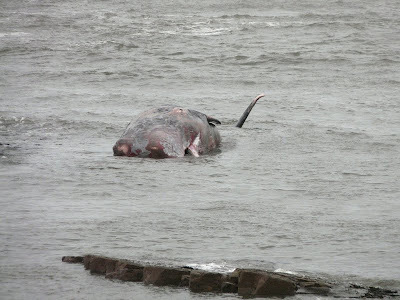 Seemingly, any dead whale, dolphin, porpoise or sturgeon on the foreshore becomes a 'Royal Fish' and is the property of the Queen and such, any of these species over a certain length must be reported to the Receiver of Wreck. I doubt Her Majesty will want this creature, but no doubt somebody will and it will be interesting to see them trying to get it off the beach. Shame really, I could just see an ivory gull coming down to it. A team of people, led by Ian Douglas, are going to attempt to install a new floating island on Druridge Pool this Saturday. Sadly, I am of to Leicester to watch the toon, so will not be around to help. 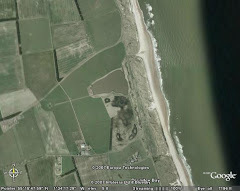 Rest-assured that photo's of the new island will be on here on Sunday though - hangover dependent! I hope the team are more lively than I will be by the time i get to the walkers stadium after being cooped up in a van with a case of stella for four hours! That video is feckin hilarious !! Trust the good ole USA to deal with it like that !! It's a pity they didn't ask our lot about it first. 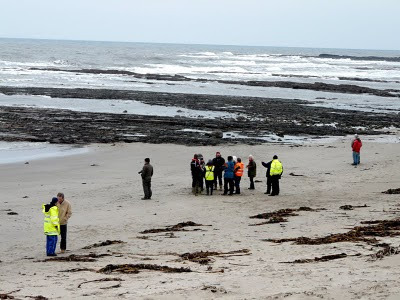 It rings a bell with me that there was a sperm whale washed up (Boulmer I think) about 20 years ago or so and they thought it would be a good idea to give it a pop with a few pounds of jelly. Result - a bigger stinkier mess than the one before the pop.